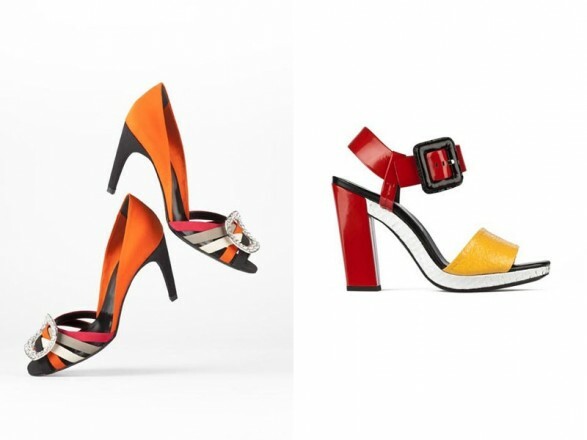 The collection Spring Summer 2012 from Roger Vivier crosses borders and playing with conventions revolutionized optical effects Color Blocks and African influences. Parisian women are not afraid in the urban jungle. Their shoes and handbags are coveted, a dream of wild and beautiful creativity … I invite you to a walk loaded Paris colored and sophistication. 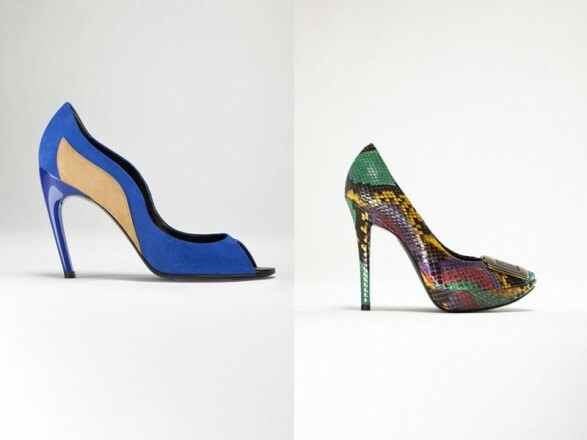 Roger Vivier Shoemaker was the first haute couture, which together with André Perugia and Salvatore Ferragamo shoes changed the world of the mid-twentieth century. Now, Bruno Frisoni is responsible for the rebirth of the firm since 2003. Thanks to him, Roger Vivier has achieved a modern style to a house with a long tradition. And no wonder, since fall season after season, surrendered to his charms, not only I but all celebrities. In my case I’m glad the hearing and in the case of the latter have the luck and pleasure to enjoy and show off. Any occasion is good to wear high shoes and spectacular, they also provide a great touch of elegance and those who will not go unnoticed, to match the rigid coveted handbags, purses or clutch. In the new summer season with French firm innovates multicolor models and other monochromatic designs but very happy and bright tones. The green, yellow, orange … all carved in leather or python. And always without leaving aside the exceptional savoir-faire that achieves an amazing 3D effect. Details such as sequins, crystals, pearls of Zaire, wood applications, buckles, giving an unexpected result. Bags Meter and Miss Viv ‘ hallmarks of the brand, have been decorated with a rainbow of colors ranging from strongest to denim. Cosmopolitan, artistic, urban and exotic, chic Roger Vivier Parisian is reflected in a woman who seeks to conquer the world through fashion. 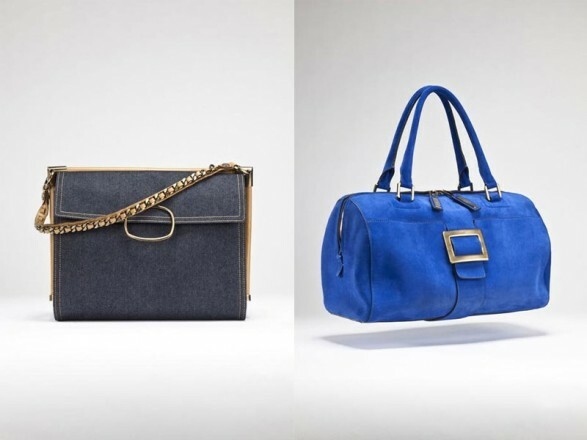 The blue bag klein I love everything a basic to wear with jeans is not it? Prismick, the novelty of the collection and claims to be a new-style icon, known for applications on buff leather pieces, creating a 3D effect. Very futuristic creations geometry. Another new and major stakes of the upcoming season the sandal T-Bar Chic. Not my favorite, if you know the color or their classic cuts, but I prefer other proposals. The secret? It has a hidden pad which allows the woman lived “float” on the heights.